In this series of articles we've written about one or more Mario games per day, each representing a different year as part of our Super Mario 30th Anniversary celebrations. Today we finish with the latest release. After writing a lot of these articles over the past month we end with what will become Mario History in the future - the release of Super Mario Maker. It arrived on 10th September in Japan and 11th September in the West, and is currently bringing its brand of creativity to many Wii U systems around the world. Released as the lead promotion in Nintendo's celebration of Super Mario's 30th Anniversary, this tool-set allows us to use the GamePad to create stages with a host of old and new items. Aspects of its design break conventional Mario rules, with amiibo support also bringing cross-IP zaniness to 8-bit designs. The key selling point, of course, is having four distinct 2D Mario templates to work with - Super Mario Bros., Super Mario Bros. 3, Super Mario World and New Super Mario Bros. U; the latter has elements from New Super Mario Bros. Wii, too. 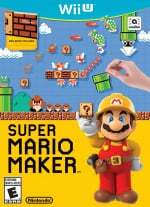 In addition to the appeal of creating and sharing cool levels for others to play, this title also provides a potentially endless supply of new Mario levels to try. In a recent interview here on Nintendo Life, however, game director Yosuke Oshino explained how the idea of creating levels on the GamePad was originally planned for internal teams; its adaptation into this game and Anniversary tie-in are more of a coincidence than we may have thought. This being Mario's 30th Anniversary is just a coincidence, it's not something we consciously planned. The idea started with the course editor for the side scrolling Mario games. This tool was previously running on PC, but the team in charge of it thought that it might be helpful for developing future Mario games if the tool ran on the Wii U GamePad and so they started doing some experiments. While doing this they realized how easy it was to make courses and how fun it was for people like them who had no experience with level design. So they decided to bring the idea of making this tool into a game to the producer, Tezuka-san. The tale of Super Mario Maker will be told in the weeks, months and years to come, though it certainly feels like an important release in Super Mario history. While it's been made clear that more 2D Super Mario games will be made in future, the prospect of more Mario Maker-style titles has also been raised. In celebrating the mascot's legacy in such an exciting way, Super Mario Maker arguably gives Nintendo a tougher task in now taking the series forward. In any case, Super Mario Maker is the hottest property on Wii U at the time of writing; rightly so. I do love the templates, just having to wait to unlock them feels a bit slow. I've only played it for about half an hour so far but it's already one of my fav games on Wii U, and indeed one of my most enjoyed games of the year. Just goes to show that great gameplay really is basically timeless. I know I will be playing this game for a long time and even if I do need a break from the game if I have a 2D platformer craving coming on I know exactly where I will go. Some of the levels people have uploaded are simply amazing and the game is only getting started! That looks truly awesome; I'll be able to play it someday, when I can actually get a Wii-U and HDTV. Still waiting on my preorder... it's been shipped, but man, waiting womps. I do hope they have plans for updates (beyond amiibo costumes). There's a lot offered, but a few things still seem to be missing (various powerups, for one). I've been enjoying this game since I received it. I love adding my amiibos to the game. I wonder if Miyamoto would have ever imagined, while he was sketching out graph paper level ideas 30 years ago, that the entire process would become an entertaining game itself. And what a nice job they did building it up from what we saw in the first reveal last year. The way it looked then seemed a little more limited but fun looking, but they built it into a love letter to Mario history and made level creation into a gaming passtime. I can understand why some things are tweaked (being hit by a fireball doesn't turn enemies into coins?) and why slopes and other mainstay elements aren't present. Some things would require a deeper interface and be less accesible to some players, or bog down the experience. But they also threw in just enough to make up for it by adding new elements (were one way gates ever a thing before?). I feel a bit bad if any of the development team were happy wih the timed rollout of tools, because they put some work into making even that a fun experience, I'm glad though that they didn't fully buckle and remove it completely just to satisfy us crybabies. They sped it up in just the right way. I really didn't want to resort to clock cheats but I didn't want to wait a week to try some Mario World courses either. Now two days in and it'll be in the next delivery, later tonight I imagine. Even though it's great the way it is already, I'm anxious to find out what's conceivable with DLC besides more costumes. Mario Maker is the killer app that clearly demonstrates the benefits of the Gamepad. I fare with Super Mario Maker in a highly positive way, and I truly appreciate all Mario has given us in previous years. After all, it's what ties this masterpiece together. 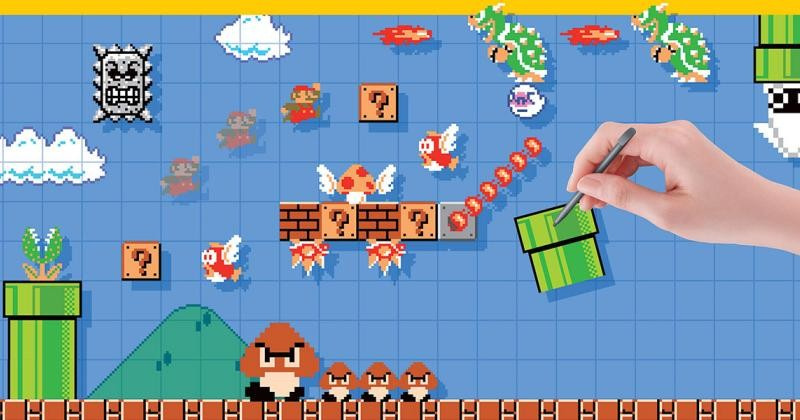 At launch Super Mario Maker proves itself limitless and full of undiscovered creativity. Imagine getting DLC in the future to make this game age better than any other game in existence? That's a tough ordeal, but as long as Nintendo doesn't make any major tweaks to Mario's classic gameplay then it very well could be. Locked content big no no, I have only one weekend free and I want to enjoy full game without waiting till next weekend. I hope they will add local multiplayer plus more content such as items, enemies and terains. I remember loving to play this game as if it were yesterday. Wii U's killer app has finally arrived. I'm interested to see how this performed sales-wise thus far. Regardless, I expect the community will be strong and lasting. Love the app itself, I do worry that 100 Mario expert wil be beyond me as I don't have the patience to constantly swipe so I don't get killed in the 1st second by a troll level, the experience is akin to chat roulette... You generally get unlucky! My 7 year boy declared this is 3 times better than Minecraft (the game he has not put down for 6 months) after playing all this weekend. That said it all really. This game is excellent. I think this is one of the smartest moves Nintendo had made, and considering the critical acclaim and sales, I can only imagine what lies ahead in the realm of DLC or Mario Maker 2. Best Wii U game by a long way, and I love Smash and Mario Kart. Essential purchase. Best game I've played in years, to be honest. Super Mario by itself is great, but being able to make your own ideas come to life is even better! All of the crazy new additions are cool too, and the different templates are a nice touch.